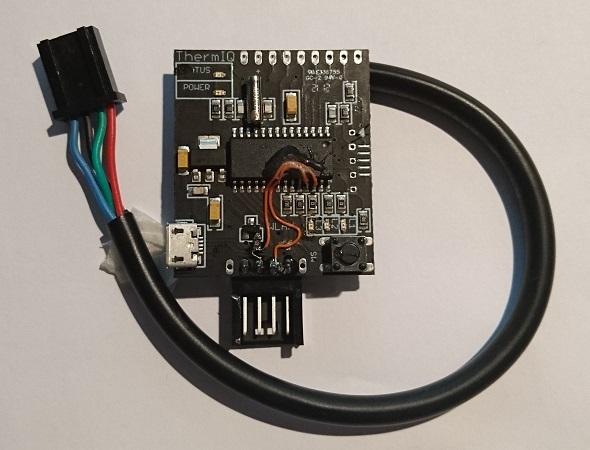 This version of ThermIQ has been updated with a micro USB connector compared to previous models. It has also been handmodify to fix a design error. Thermia is a part of the Danfoss group, and uses the Danfoss name on certain markets. All new heatpumps labled Danfoss are compatible with ThermIQ.